Soap Opera Graduate Hall of Fame! Soaps' Sudden Departures - Here Today, Gone Tomorrow! 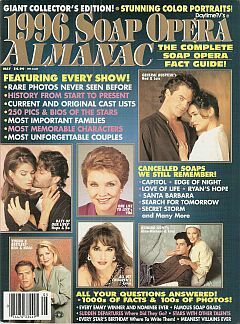 Click to be notified when 5-96 Daytime TV 1996 SOAP OPERA ALMANAC is back in stock!